Fast charging,universal compatibility,foldable,solar charger for cell phone. Airgine 10000mAh Ultra Lightweight Solar Charger Power Bank is a must-have for any outdoor adventure. 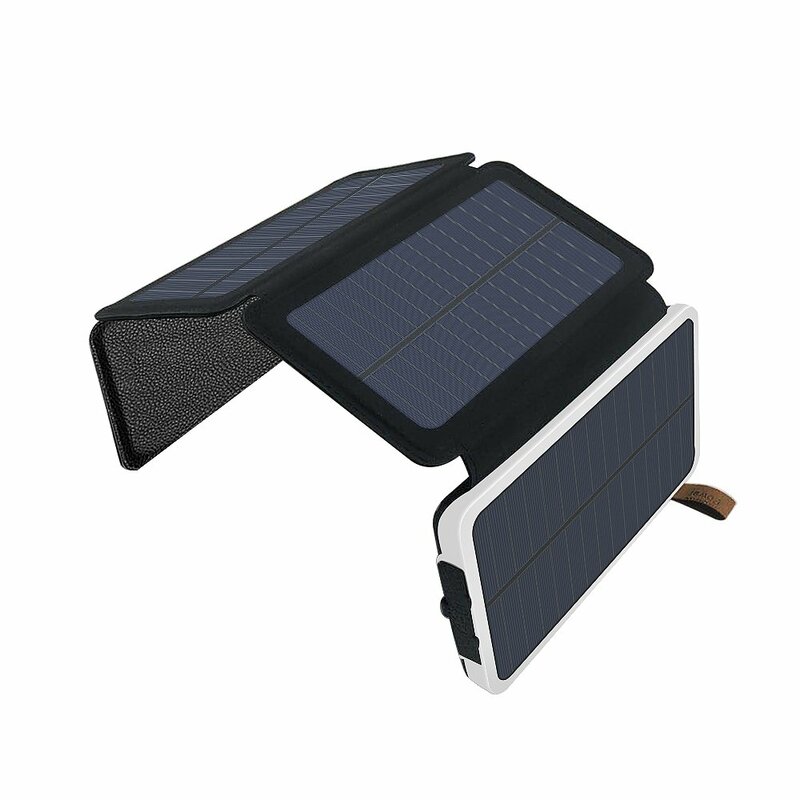 10000mAh rechargeable Li-polymer battery equipped with 4 folding solar panels is enough charge when going outside or emergency use. Airgine solar powered charger provides multi protections to protect itself from overload, overvoltage, overcurrent, overcharge, over-heating, and short-circuit. Bright LED flashlight give you maximum brightness when you need it. Lighting Mode, SOS Mode, Explosion Mode of LED lights can be switched arbitrarily, allowing explorers to go out and camp more safely. Long-click the power button to turn on the LED flashlight. One click to switch the 2 modes(SOS, Explosion) of LED flashlight. Solar charging is only an emergency charging method. The charging efficiency of solar panels is affected by natural conditions. Such as day and night, seasons, geographic latitude, and altitude, as well as the influence of random factors. Such as sunny, cloudy, and rainy. Please do not rely on solar energy as a way to maintain your charger. For daily use, please use the charging cable provided by us to charge the product through the adapter. This is a very convenient handy device that works well.